Setup of hive- usually bees move up during the winter as they consume food stores. This often leaves the useful space in the lower hive body neglected and unused. The subsequent crowding in the upper box may then initiate swarming instincts to kick in. If this is the case, and you haven’t already reversed your boxes, this is the time to do it, and to clean the bottom board off while you are at it. If BOTH boxes are in use, there is no need to reverse...you may also feel free to simply move frames of brood down from the top adding to brood that is already in the lower box. The idea is to provide room above to give the bees the feeling of room to work and expand, above them. 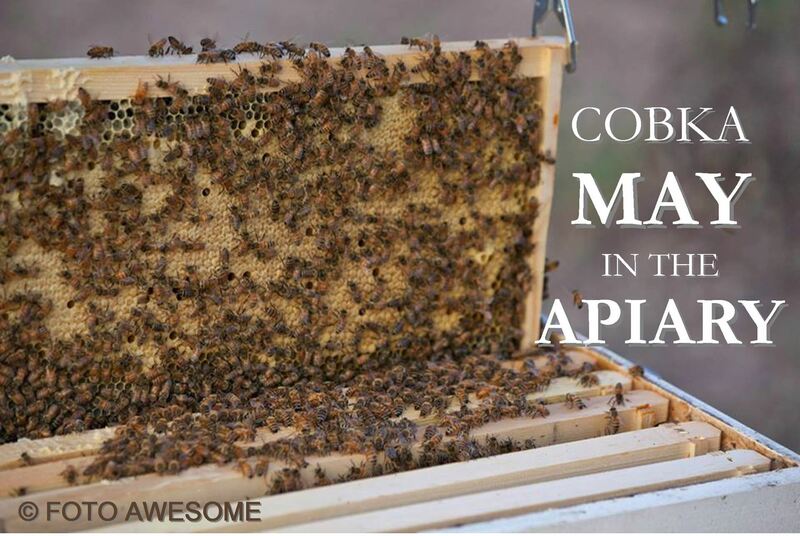 Swarming is a natural process for a healthy hive. A 2nd year queen is much more likely to swarm than a 2018 queen. What to do: if your numbers are rapidly growing, and (especially) if the brood area is congested, swarm cells may very well indicate your bees are planning an awe-inspiring and most unwelcomed hiatus. Each swarm takes a good half of the bees. Often the subsequent after-swarms do likewise; taking half of what is left, at each new virgin queen’s departure. So, what to do: keep a weekly eye on them (mark the days so you are not tardy for the inspections) by checking for swarm cells. To do this, start your smoker, and from the back of the hive, crack open the seam between the top and bottom hive bodies. Slide/pull the top box towards you about 8 inches or so. Now pivoting this top box up, and on it’s front edge, raise the back of the top box up (like opening a clam), and rest it on the front 8 inches or so of space you created by sliding it back. You now have the top box resting vertically on its front entrance side with the bees, bottom of the frames and any swarm cells now directly facing you. Smoke lightly to pull the bees back into the comb and examine those bottom frames. You will see drone comb most likely and opened drone larvae. These are not queen cells. Swarm cells (queens) are always running vertical. They are peanut shaped, and generally hang down from the bottom of the frames. I like to keep the bottom of my frames scraped clean so the cells that are added are clearly evident on each inspection. No cells? Then close it gently back up. You’re good. Till next week anyway. If there ARE cells, you must act quickly. There are numerous ideas and methods of what to do. Have a plan for such an event. Once cells are capped, the swarm often flies. In an emergency situation where swarming is imminent, temporarily removing the queen can be effective. Then you can remove the frames of swarm cells to another location, as in a nuc box. You can make splits at this time also. IT IS MUCH BETTER TO PREVENT SWARMING by providing ample brood area, decent ventilation and by having young queens head the hive. Doing an early split is one way to keep a 2nd year thriving hive from swarming, BEFORE it decides to do so on its own. Another note- during nectar flows, bees often buckle down to an ‘all-hands-on-deck’ protocol. Swarm cells may be either dismantled or abandoned by the colony. (Nice fact, but certainly do not go off guard duty!!!) Also, you may see supercedure cells at the same time as swarm cells, especially if you have removed previous swarm cells. If the queens proficiency is self evident, (solid-pattern frames of capped and uncapped brood), remember that a supercedure cell can function as a swarm cell. (And vice versa). Basically, the bees will often hide cells to other locations if they are being thwarted on a previous location. They are not as dumb as they may seem as ‘simple’ insects. Also, Spring is definitely mite treatment time! Don’t wait till mites get a serious foothold. Well, lots more to talk about, but don’t want anybody going into a bee-lecture induced coma. Good beekeeping to all of you! Big thanks to Kim Rivera for writing this month's notes!